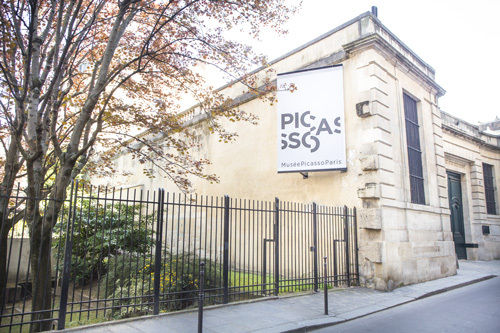 Visit the Picasso Museum in Paris with tickets that will enable you to jump the queue. Immerse yourself in the works of the 20th century's most famous artist and learn about his unique creative process in one of the largest and most exceptional museums dedicated to Picasso anywhere in the world. Learn about the creative process of one of the most famous artists in the world, Pablo Picasso. The collection that is housed at the Pablo Picasso Museum in Paris contains more than 5,000 works which have defined the art of the 20th century. It is the largest collection in terms of quantity and variety which enables visitors to see the different artistic phases running through Picasso's painted works, his sculptures and his drawings. Courtesy of his brushstrokes, studies, photographs and a collection of documents, it becomes possible to properly understand the artist's creative process. Booking on-line is highly recommended by museum staff. Pictures from the last decade of Picasso's life. On the day of your visit, just show the tickets on your smartphone outside the building and jump the queue. For disabled visitors, entry is free of charge. However, it is strongly recommended to make a booking on-line for their companions. This will mean you can all enter at the same time without having to queue and without having to wait for entry. We do remind you that the security checks are compulsory for all visitors and it is not possible to access the building with suitcases and bags. The entry date on the ticket does not include a specified time. This provides maximum flexibility for visitors who are able to arrive at the museum from 10:30 onwards until closing at 18:00. The latest permitted entry is 30 minutes before closing time.